PRELEASING NOW FOR EST. DECEMBER 2018 MOVE-IN: APPLY ONLINE! 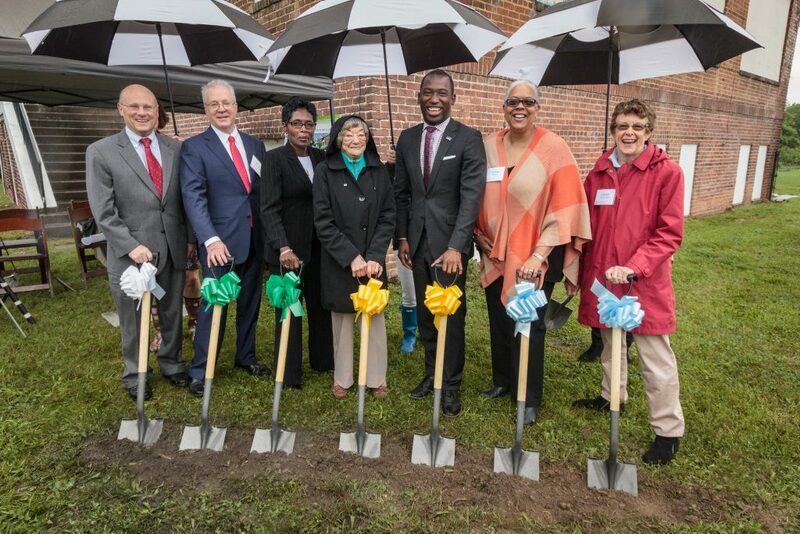 BHC broke ground on The Goodwyn at Union Hill on May 12, 2017. 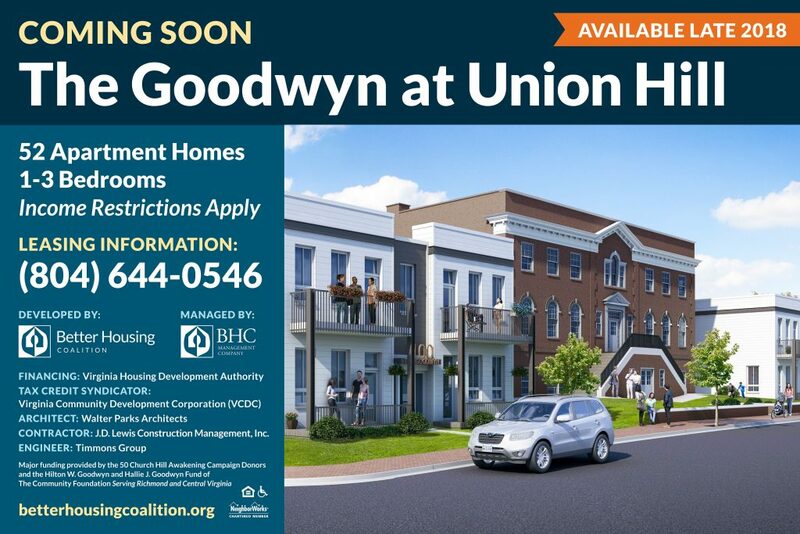 With an estimated completion timeframe of late 2018, the Goodwyn at Union Hill will bring 52 new, high-quality apartment homes for working families to the historic Union Hill, Richmond VA neighborhood. 1-3 bedroom units. 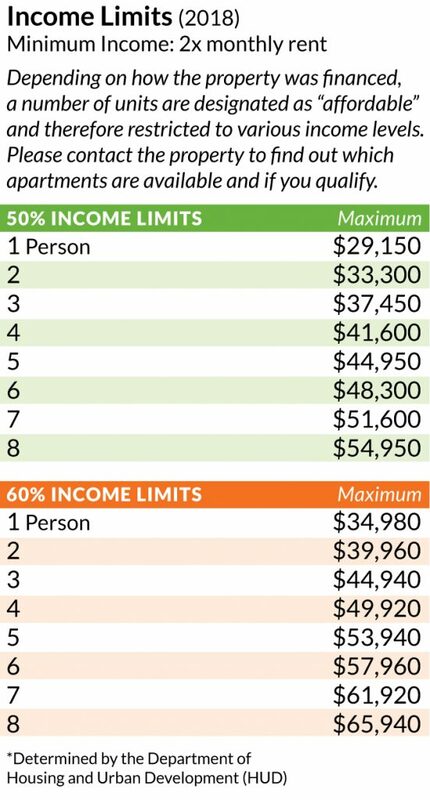 Income restrictions apply.